Did you bring in firewood from a wood pile which in turn carried in some stragglers. A one time treatment is the perfect choice if you have treated before any eggs are laid. Have you brought in any boxes or paper bags from a grocery or big box store that may have contained roaches. A one time treatment is a great option if you have it treated right away. You are moving and need a one time treatment to satisfy a landlord or sales contract requirement. You may have had a few stragglers that laid eggs. Roaches are social insects which multiply rapidly and will generally need more than one treatment if not caught at the initial stage. The level of infestation. For every roach you see there are probably 100 hiding in the walls. If you see a roach in the daytime it means you have such an infestation that they are crowding each other out of their hiding places. If you need a one time treatment or a service plan, Sovereign Pest Control is the solution for all your pest control needs. 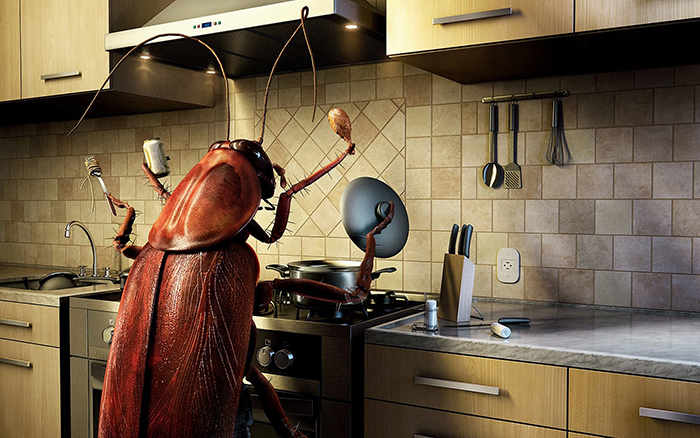 Please contact a Sovereign Pest Control representative today to determine your best option 1-866-884-3789.